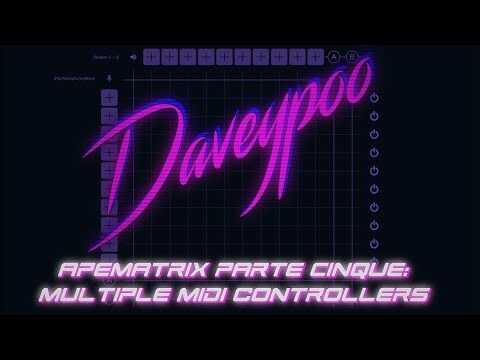 My latest video has dropped and I'm talking about how to set up 5 different MIDI controllers inside apeMatrix. Well done man! Thanks a lot! Your suggestions are valid points for anyone using it with external MIDI hardware. Maybe Alessandro Petrolati is listening. Fingers crossed! I'm not sure what technical/coding hoops he'd have to jump through to get this done, but it would open up worlds of options. Good bump - I would’ve forgotten to watch it if you hadn’t! I do hope the dev is seeing your videos. In fact I think I’d be reposting it on all my social media, if I were him; they’re really instructive on using his app! Oh, he is - Alessandro has been very kind and reposted all my videos. He's great! ...and don't forget to subscribe to the channel and you'll NEVER miss a video!